BBC One - Antiques Road Trip, Series 16, Episode 6, Why did 19th century fire-fighters have impressive facial hair? 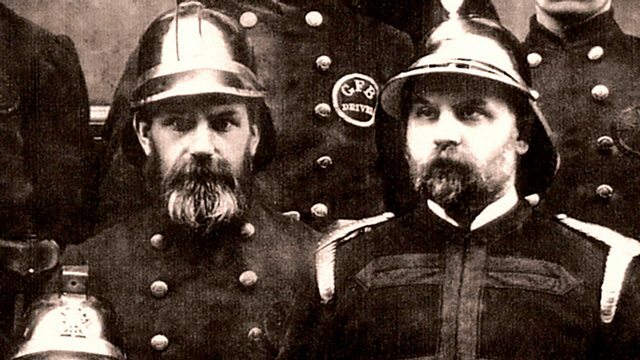 Why did 19th century fire-fighters have impressive facial hair? Life as a Victorian fireman was hard, as early fire fighting equipment was rudimentary at best. Firemen would brush bushy facial hair over their mouths, hoping it would offer some protection from smoke inhalation. Charles also hears about one of Scotland’s more famous fire-fighters - Wallace, a stray dog adopted by Glasgow’s fire service in 1894.